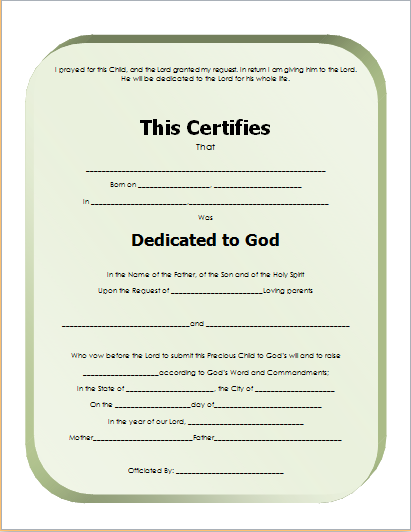 A child dedication certificate plays an important part in the Christian religion. Parents who want to strengthen their faith often commit to raise their newly born children in the light of the religion. The proper way of exhibiting this commitment or dedication is through a proper baby dedication certificate. 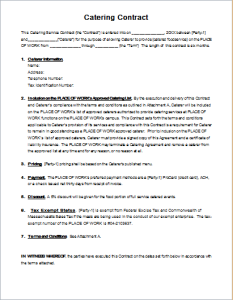 It is an unofficial piece of document. However, it makes a great addition to your baby’ memory book. 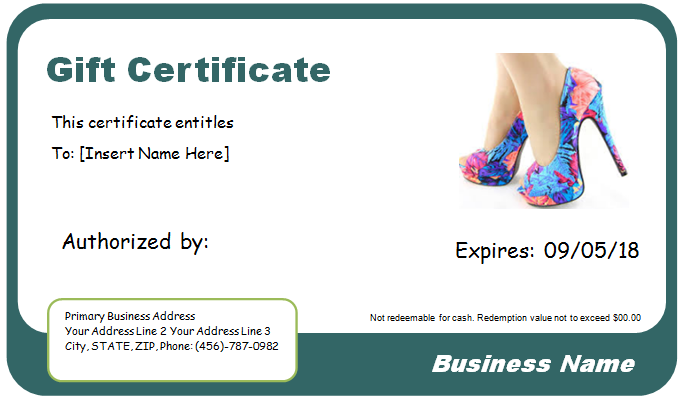 In fact, the certificate can prove to be a cherished keepsake. It can be designed in several different ways. Parents can use their own ideas. 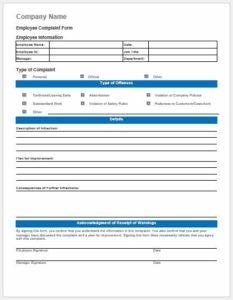 On the other hand, child dedication certificate templates are also available to make the job much easier. The internet is full of printable templates. 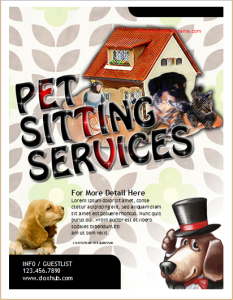 Most of these templates are available free of cost. You can find hundreds of ideas for the design. 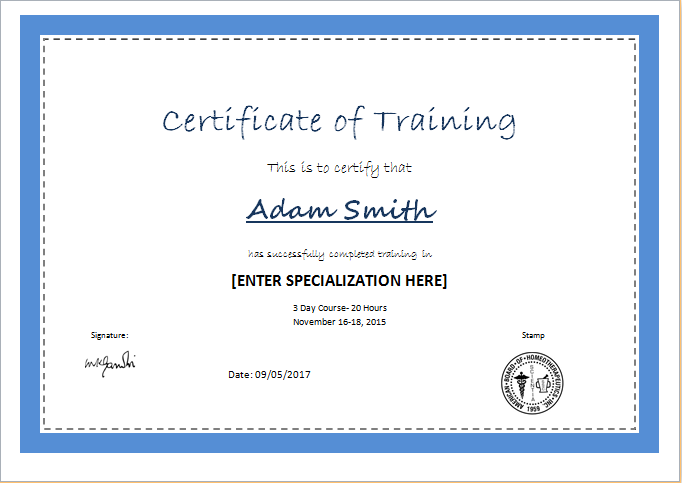 Usually, the certificate is adorned by a beautiful border running around the edges. It could be a simple frame, a floral border and something more interesting. Designs related to a newborn baby can also be used. However, most individuals prefer floral designs. Since the certificate is created to show dedication to God, parents usually prefer simple and elegant designs. The names of the parents and the church leader can be printed on the certificate along with the name of the baby. It can also be signed by the concerned individuals. 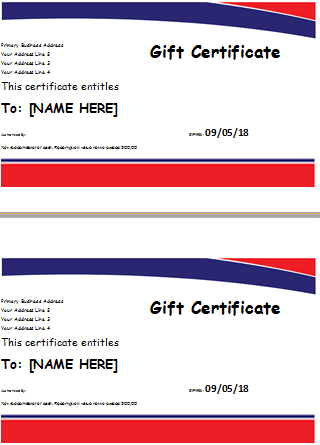 As your child grows up, he or she will truly appreciate this certificate. It is the first step you take towards making your child follow the light of religion.